Yes, the Colorado Fossils have won it again! However, for the second consecutive year, the lowest seeded team (Cardinals) got to the championship game and almost pulled off an upset. 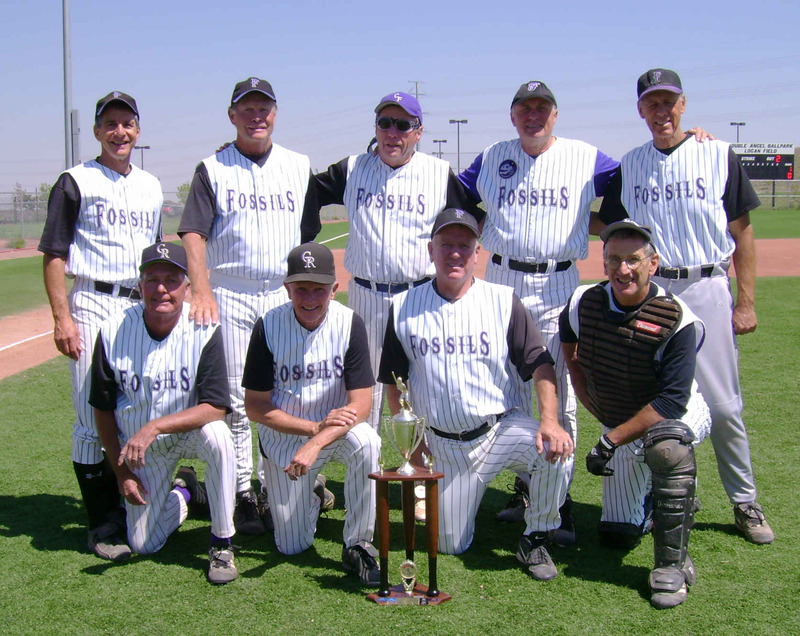 The Fossils, after being denied the division title at the end of the regular season by the Cardinals, knocked off the Rockies in the semi-finals. 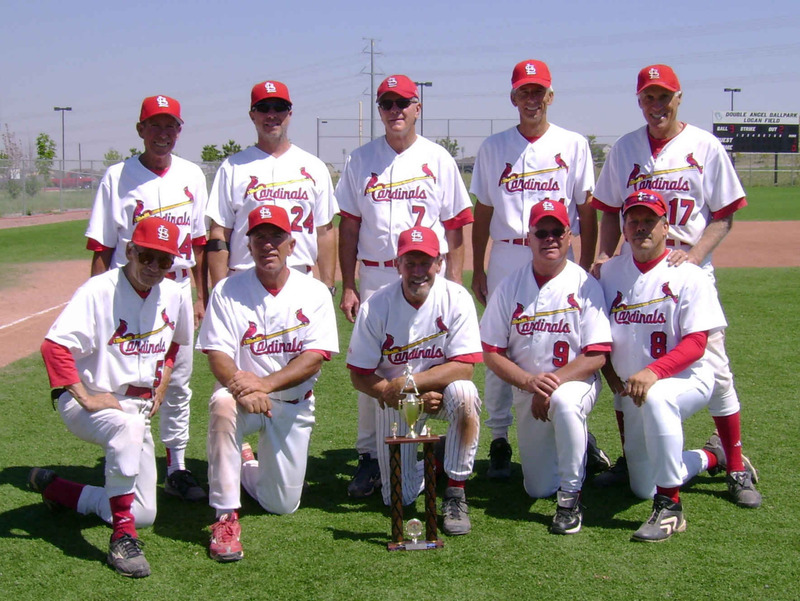 Then, they held off the very same Cardinals team in the championship game for sweet revenge to win their 3rd title in the five year history of the Denver Over 60 Baseball League. The championship game was a close, lead-changing, and low scoring contest until the next to last inning when the Fossils took a 6-3 lead. Only then did anyone feel secure about what the end result would probably be. That is, until the Cardinals rallied with 2 outs to score 3 runs to tie the game. However, in the bottom of the 7th inning and also with 2 out, the Fossils rallied to score the walk-off and championship winning run for a 7-6 win. It doesn't get more exciting than that! 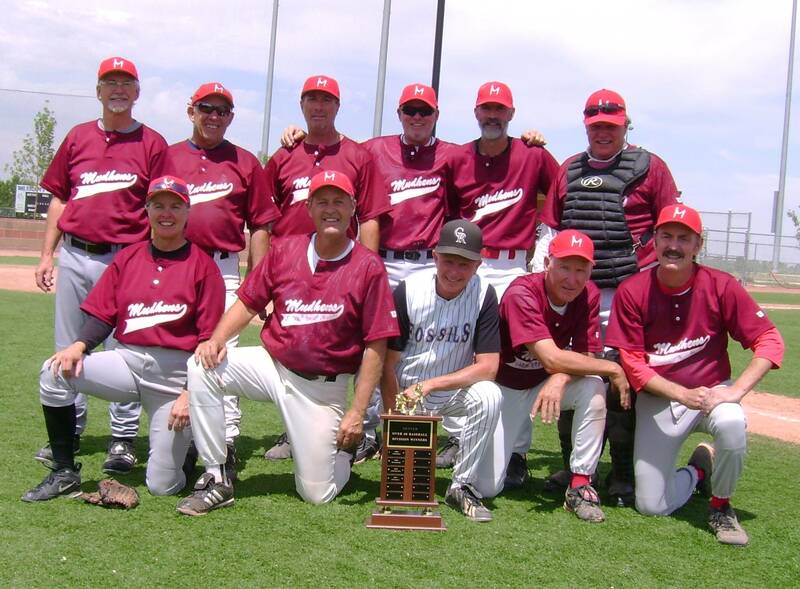 ALTHOUGH THIS YEAR'S LEAGUE HAS COMPLETED, YOU SHOULD CONTACT THE LEAGUE DIRECTOR FOR NEXT YEAR'S PARTICIPATION. THERE ARE ONLY A LIMITED NUMBER OF PLAYER OPENINGS EACH YEAR. HISTORY WAS MADE ON OPENING DAY, THURSDAY, APRIL 24th, WHEN FRED TERRANOVA (SECONDARY PLAYER FOR THE MUDHENS) BECAME THE FIRST LEAGUE PARTICIPANT TO "HIT FOR THE CYCLE" IN A GAME. 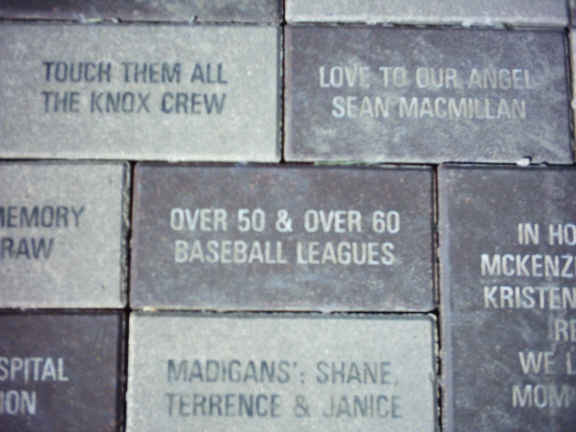 SINCE HIS CYCLE INCLUDED THE FIRST LEAGUE HOME RUN OF THE SEASON, HIS PICTURE HAS BEEN PLACED ON THE NEW 2008 HOME RUN CLUB WEBPAGE.